This Thursday, a Marbled Menace sprouts forth from the soil! 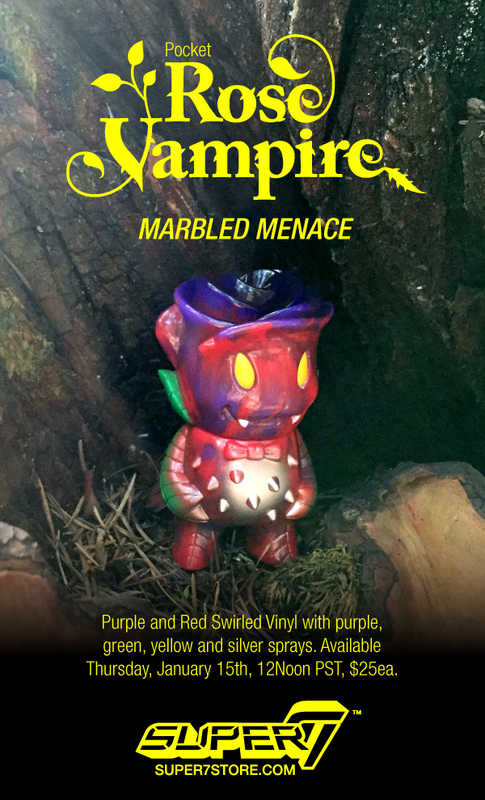 The Pocket Rose Vampire is a mutated menacing marbled monster cast in purple and red swirl vinyl with green, purple, yellow and silver sprays. Available this Thursday, January 15h at 12noon PST. $25 ea.